We’d love your help. Let us know what’s wrong with this preview of The Fallen by Tillie Cole. 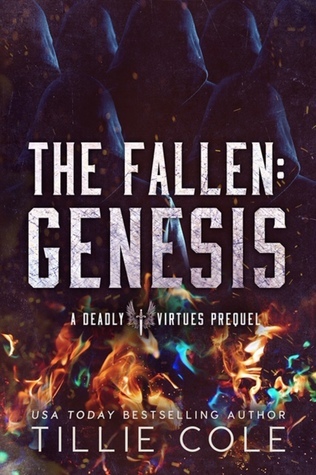 Holy Innocents Home for Children is a haven for orphaned boys wh The Fallen: Genesis is a prequel novella in The Deadly Virtues Series and MUST be read before RAPHAEL (DV: book one). Tillie nos ha estado antojando tanto esta serie, que para bien o para mal, mis expectativas de esta nueva serie están hasta el cielo. bu kadını okurken zaten sağlam kalamıyorum bir de şimdi bu! Lan ayrıca Mayıs ne ya M A Y I S N E !